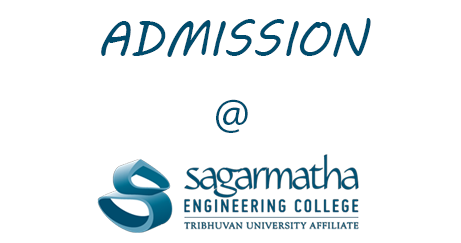 Students who have passed the entrance exam conducted by the Institute of Engineering (IoE), T.U., can only apply for admission at Sagarmatha Engineering College. Students are selected strictly on a merit basis from amongst the applicants. To be eligible to appear in the IoE entrance exam, one must have secured a minimum of 45 % marks in +2 Science or A Level or Diploma in Engineering or equivalent with Physics, Chemistry and two papers of Mathematics (200 Marks). One who has appeared in the final examination of +2 Science or equivalent can also apply. Foreign students are eligible for full-fee schemes only.